I read this article and found it very interesting, thought it might be something for you. The article is called I, DUBLIN CITY: Malcolm McGettigan and is located at https://www.totallydublin.ie/more/i-dublin-city-malcolm-mcgettigan/. Malcolm McGettigan remembers a face. And behind every one there’s a story. We’re honoured to present his collection of people who’ve made an impression upon him. 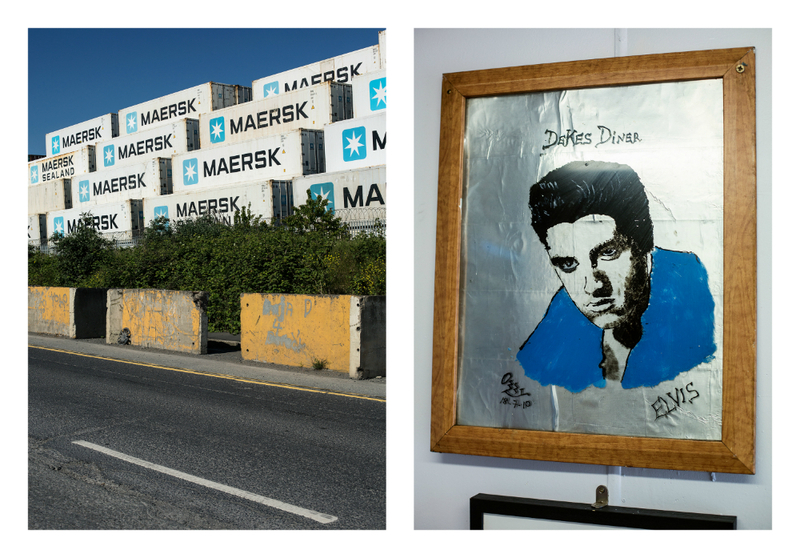 “I’m living in Dublin for a few years now and have become somewhat familiar with its landscape and characters. Some of them are lesser known than others but have been on my radar since my time here. They’re distinctive faces or individuals I’d heard about, because of who they are or where they are within the city, but have never known much about. Arthur is an Irishtown native born and bred. 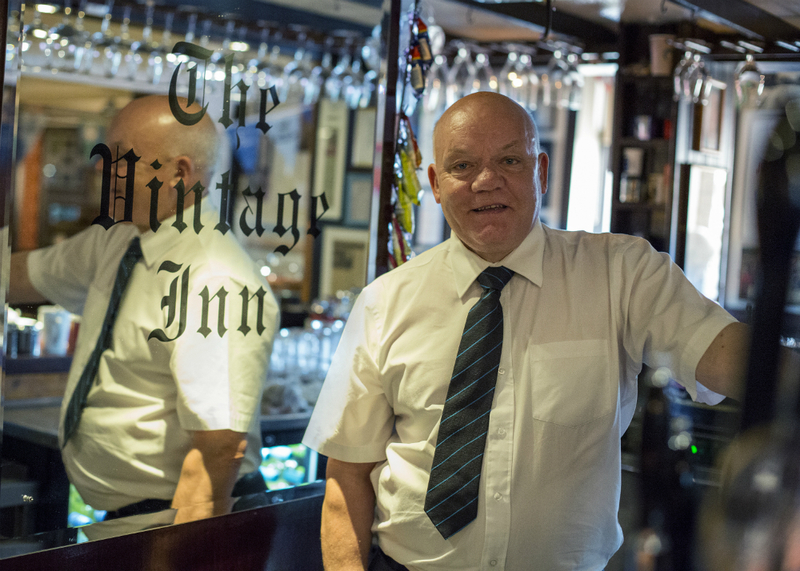 He started in the Vintage Inn at the age of 13 in 1971 as a lounge boy and made his apprenticeship as a barman two years later. In 1981 he married Collette who he met on the premises. An outsider from “over the bridge”, she was there after choir practice in Star of the Sea and he wouldn’t serve her because he thought she looked too young. He’s seen a lot of changes in the area over the years. People who had moved away couldn’t afford to move back. A lasting childhood memory is going to the Irishtown dump on certain days when they knew what was coming in. Cadburys was a big day for him and his mates, but the landscape has all changed now. “Working for the Gleeson’s has been a privilege” he says. He feels like part of the family. 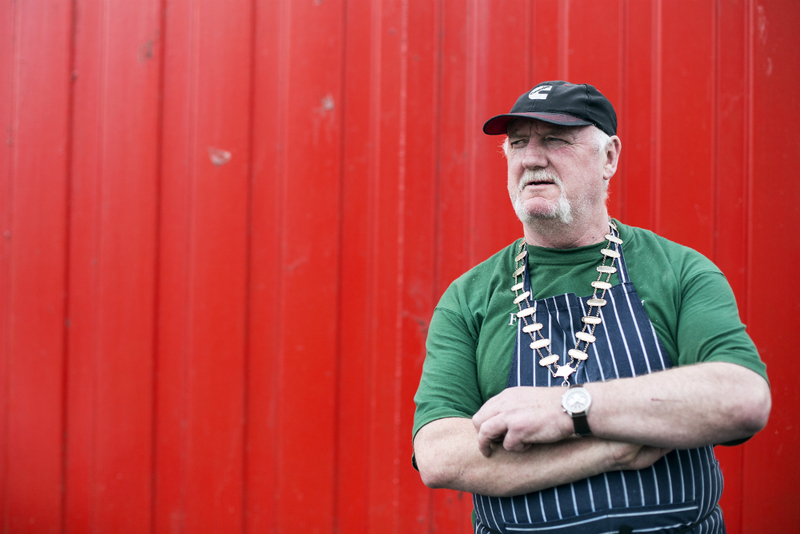 He’s been there 17 years now just off the Sean Moore roundabout and there have been big changes since he started. It used to be the only stop between Dublin and Belfast when the trucks pulled off at Dublin port. Now with healthier living, regulations and petrol stations up and down the M1, business has slackened considerably. He got the name Deke Rivers from his days as an Elvis impersonator in the early 80’s. ‘Rivers’ was an Elvis character in the 1957 movie Loving You, the title song of which Deke used to sing in his sets. Most people in the Ringsend/ Pearse Street area don’t actually know him by his real name anymore! 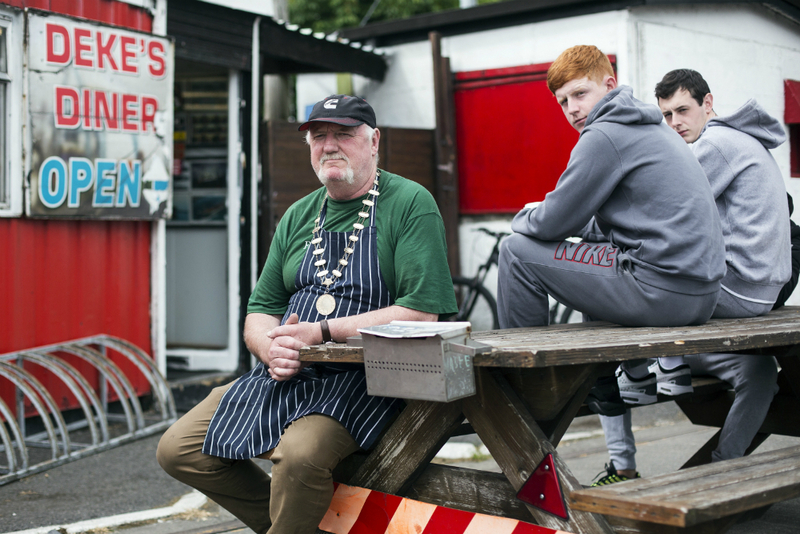 He’s well known for his community work though, and has been tirelessly working with the youth in the area over the years, an attribute that helped earn him the role of ‘Lord Mayor of Ringsend’ last May bank holiday weekend! Marion has been in the rag trade all her life and has been running Monto beside Cineworld on Parnell Street for 20 years now. 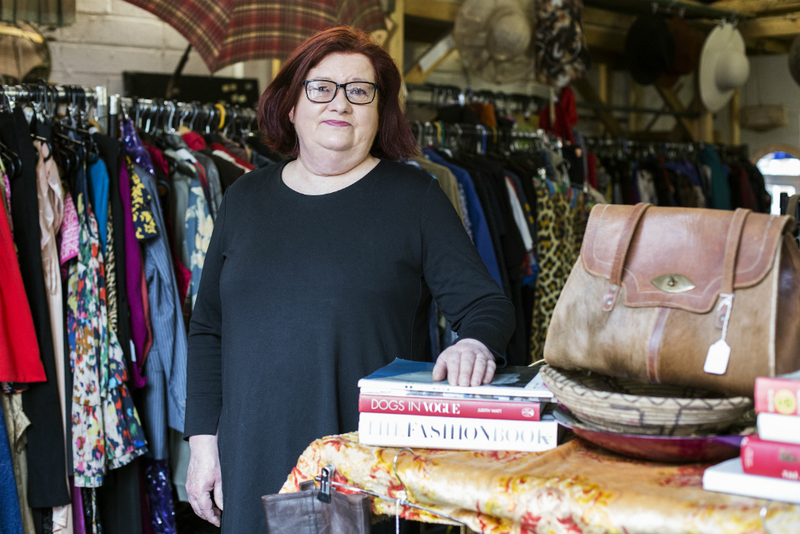 She’s a collector of clothing from all over the world and is known for her knowledge of vintage. She’s quite adept at finding the pieces she wants to showcase in store through various connections and trips over the years. Her business caters for guys and girls and Marion has also been known to make her own pieces that she sells also. Gerry O’Boyle or Gerry Gore as he was once known has been a familiar face on the Dublin landscape (though he’s from Kilkenny), especially in music circles for 30 plus years. The older vinyl junkies amongst us will remember his face from Comet records which started out on Chatham Street before moving to Temple Bar in the 90’s. 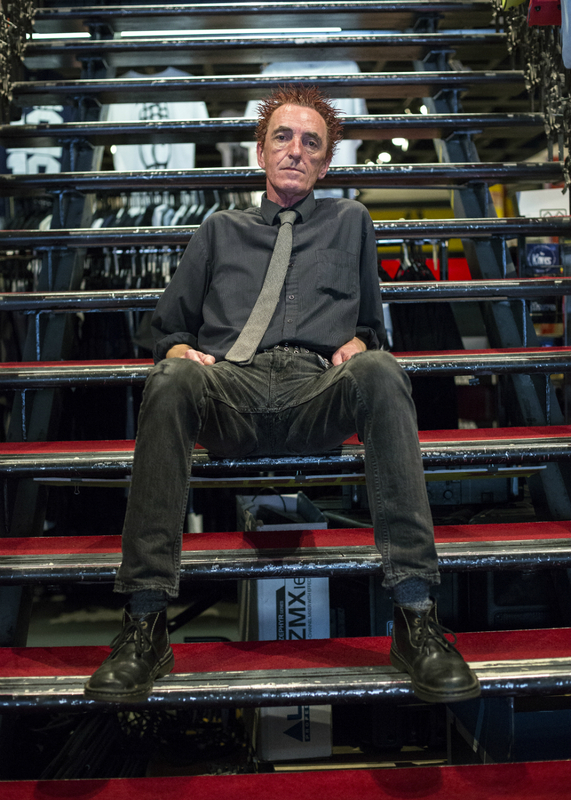 He’s been out of there nearly 20 years now and for the last 15 years plus he’s been a long standing employee at Tower Records, now on Dawson Street, working as a buyer dealing with the more independent English distributers. Over the years he’s been in a number of bands, the most notable of which was The Gorehounds which lasted for about seven years. They released a couple of singles though Idol records in the U.K. which was run by an Irish guy. During the same period they got approached by another Irish guy based in the U.S. running a label called Big Chief. He wanted to put out an album. So with the six singles the band had recorded and a collection of recordings on tape, he put out a 10 track album entitled Semtex which Gerry says have been found recently on the second hand shelves here. Kyoung has been in Ireland nearly 17 years now. When she came here she worked in marketing and as a PA to the MD of LG when they were in Dublin. She actually worked on the deal that had the multinational move to Milan five years later, though her home is now in Dublin. Around about the same time with the help of an Irish friend, she and her cousin Lee acquired the lease of the Shakespeare pub on Parnell Street which had been changing hands every six months up until that point. The plan was to have Lee run the bar and Kyoung the restaurant. There was only one other Korean restaurant in Dublin at the time, now there are two on Capel Street, one in Rathmines and Lee now has another place in the IFSC. 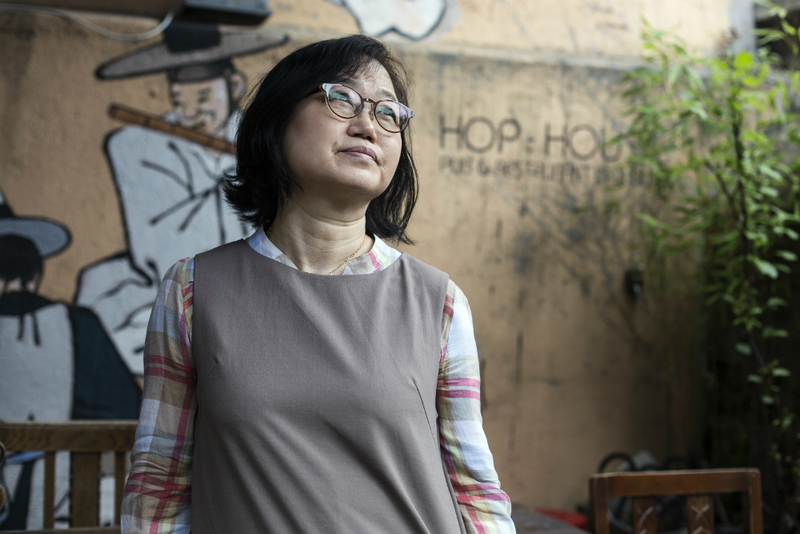 Kyoung is always a familiar face when you go into the Hop House or Kim Chi and the establishment is well known now amongst city diners. Judas is a character I’ve seen around town for years. Born and bred in Newmarket in the Liberties, he’s a very distinctive character. He’s a self professed Satanist and advocate of Black Magic. His love of rock music started when he was six years old when he heard Deep Purple’s Smoke on the Water on the Friday night rock show on BBC 1. 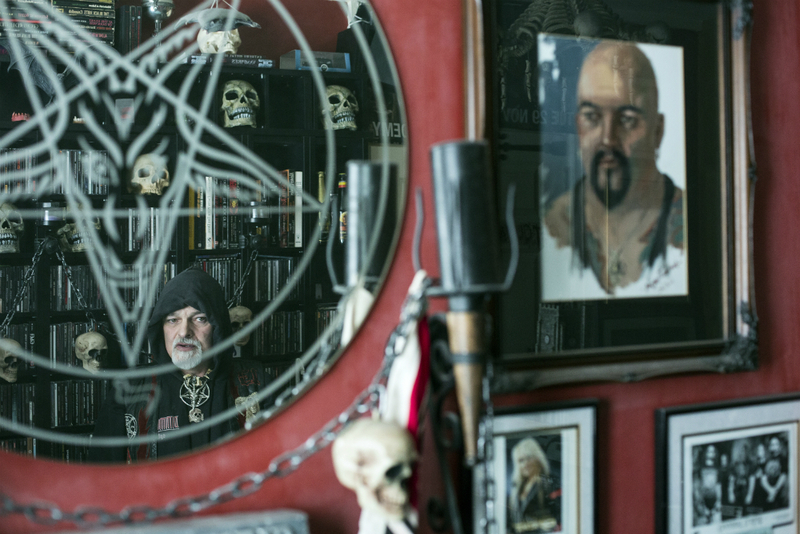 His interest in the occult developed in his early 20’s and over the years he has been to a few satanic rituals. He missed out on the opportunity to be properly ordained when the Swedish minister of the Church of Satan, who had been living here, died tragically in a car accident. Apparently to be ordained, you have to have an inverted cross marked into your forehead using the blood of a live animal… usually. Tommy Tighe started the Sound Cellar about 47 years ago with Pat Egan. 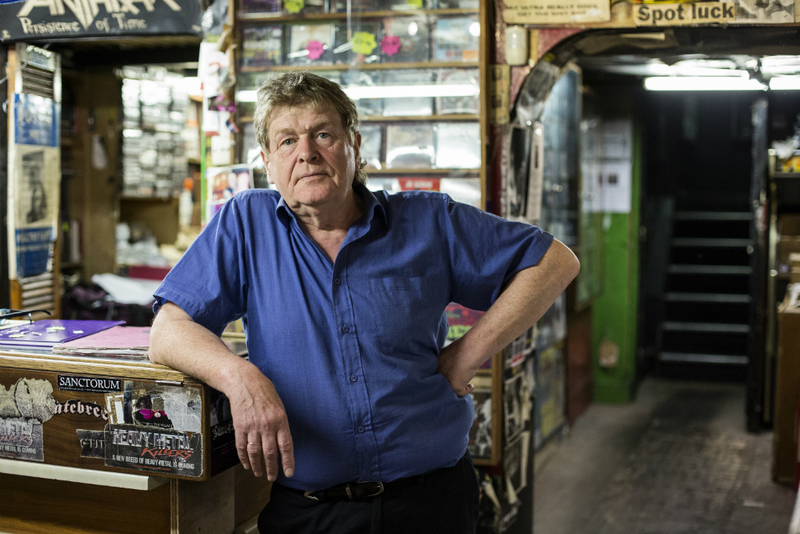 It’s arguably the oldest record store in the country. At the time, Tommy had been working with Pat handling all his PA equipment when when he was out on the DJ circuit. Essentially, this served as his introduction to the music scene. The Sound Cellar has become synonymous with heavy metal over the years but Tommy stresses that it didn’t start out that way. 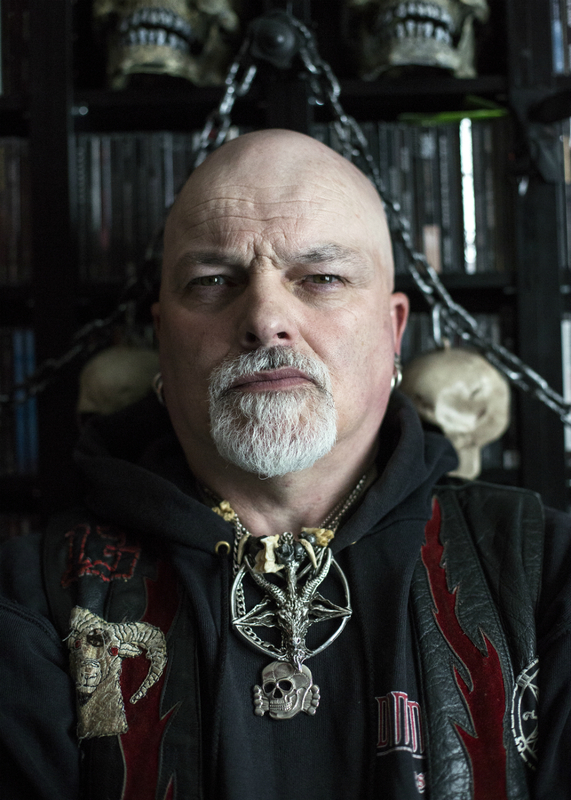 He runs a specialist store and has always stocked vinyl that other stores didn’t so it’s no surprise that he was the first to stock heavy metal. He’s a blues man at heart preferring the sounds of Peter Green’s Fleetwood Mac, John Mayall’s Blues Breakers, Steamhammer and especially artists from the black blues scene. Many a rock star has also been in with him, from Peter Green himself, to Motorhead and Metallica. 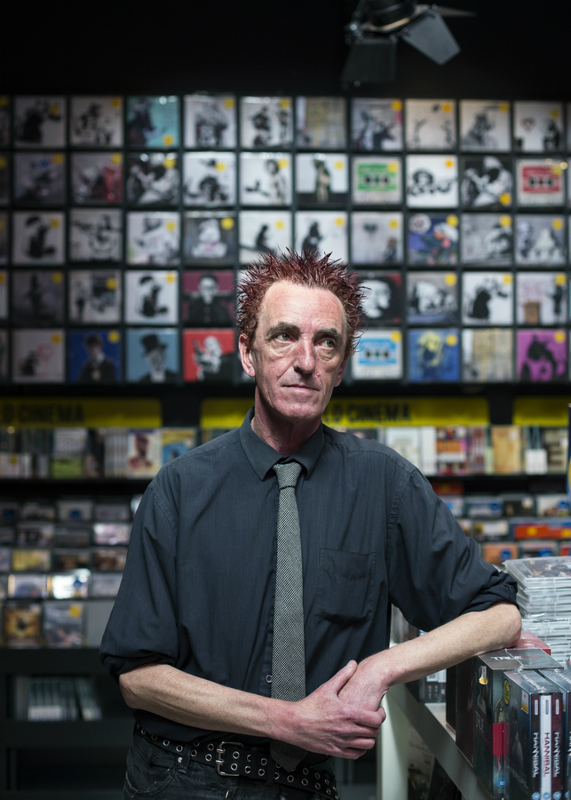 Amazingly the independent has survived two recessions and Tommy says that they didn’t suffer with the emergence of MP3 or apps like Spotify because his clients were always looking for the finished product, which is why he’s always sold vinyl, CDs, and even has a selection of cassettes again.